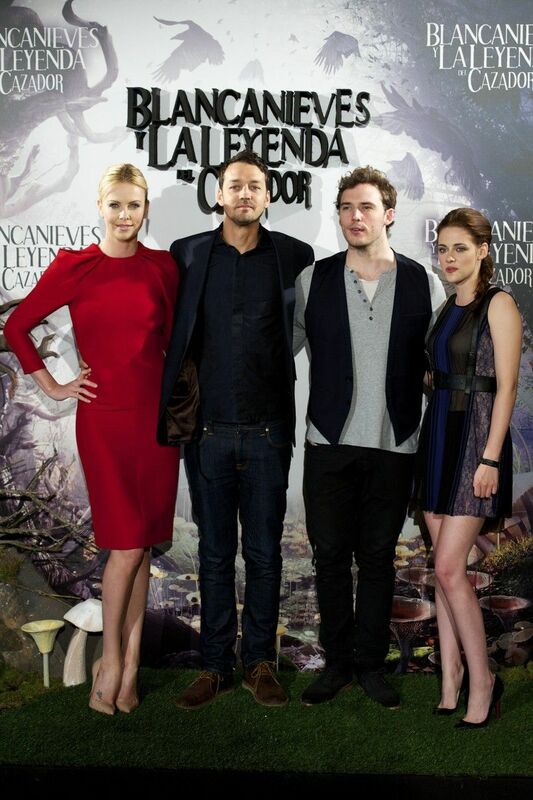 The cast of Snow White and The Huntsman carries on the tour to premier the film in Madrid! Oh man!! I can not understand what they are saying. Although they are answering in English-- they drown out the English and accentuate the translation voice-over. Oh well. BTW-- Lamiaa-- did you like this film? I was still in shock when i was watching the film after the incident with the guards at the cinema entrance I couldn't really focus I guess i didn't like it because of that kristen and charlize performed really well but i thought it was a children's movie i was under the impression it wasn't.